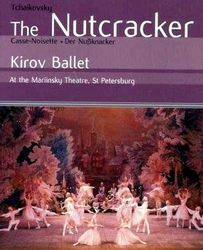 Saint Petersburg has more than 40 different ballet, opera and drama theatres first of which was opened as early as 1714. Our city is the motherland of Russian ballet - Imperial Ballet Academy (now famous Vaganov school) was opened here in 1738. Among its graduates were such world famous dancers as Matilda Kshesinskaya, Anna Pavlova, Galina Ulanova, Mikhail Baryshnikov, Rudolf Nuriev and many others. St.Petersburg conservatoire was established in 1783. Among its professors and graduates were such prominent Russian composers as Glinka, Tchaikovsky, Mussorgsky, Shostakovich, Rahmaninov, Stravinsky et ali. You can enjoy their operas and ballets in famous Mariinsky and Mikhailovsky theaters and in several other concert halls located in historical palaces. You can listen also to operas by world known western composers like Bizet, Wagner, Verdi et ali performed in the language of original or in Russian. St.Petersburg Philharmonic society was established in 1802 being first in Europe. The present hall on Square of Arts with wonderful acoustics was opened in 1839. Since that time many renowned musicians were performing here (List, Vagner, Berlioz, Tchaikovsky, Stravinsky and many others). Since 1988 its orchestra is conducted by world famous director Yuri Temirkanov. You should not leave St.Petersburg without visiting unbelievably remarkable Russian Folklore Show in Nikolaevsky palace - it is really a "Big Show"! As you can see Saint Petersburg has a splendid cultural life for all tastes. This is a preliminary playbill which might be changed by the theaters. We renovate the program as new information becomes available. Payment is accomplished via Western Union or by bank transfer, details upon request. Check the schedule at the St. Petersburg theatres and order your tickets ahead of time to ensure great seats and avoid possible disappointments.